Four interchangeable Nike swooshes highlight the Air Jordan 3 Tinker "Air Max 1." The "Tinker" Air Jordan 3 will return to retailers this Saturday, March 30, in an all-new university red "Air Max 1" colorway. 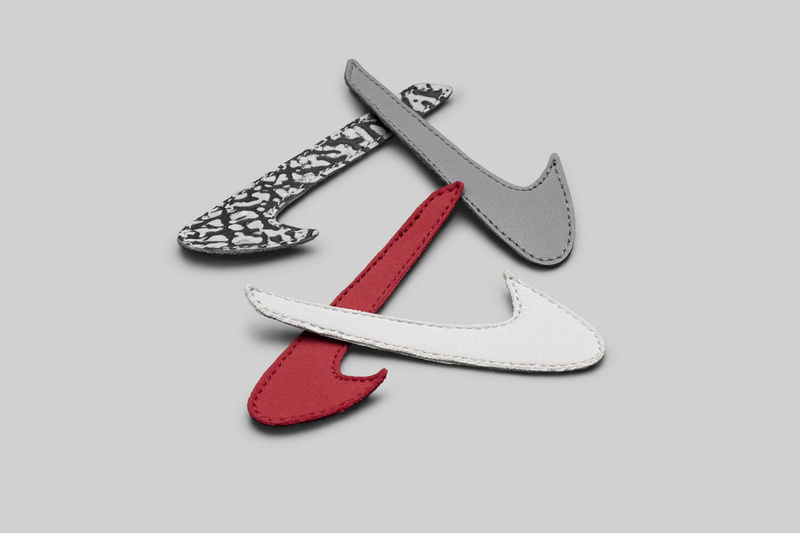 The special edition sneakers, priced at $225, come equipped with four different velcro Nike Swoosh options, giving consumers the opportunity to customize their pair as they see fit. 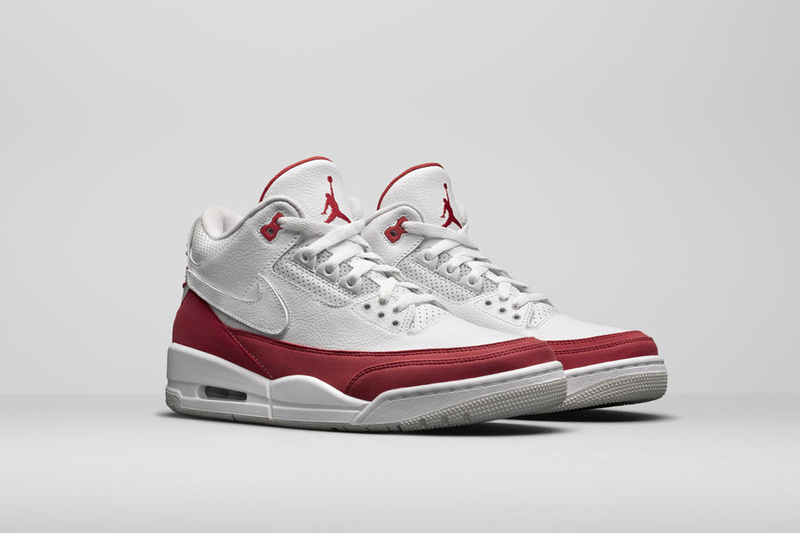 The latest Air Jordan 3 consists of a white leather upper accompanied by university red detailing about the midsole, Jumpman logo on the tongue and "Nike Air" branding on the heel. 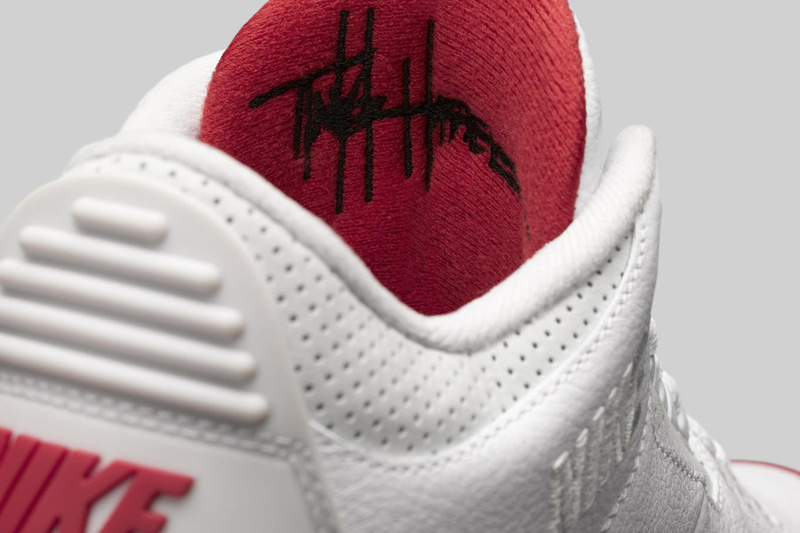 As the name suggests, the white and red design serves as a nod one of the original Nike Air Max 1s, a sneaker that was also created by Tinker Hatfield. 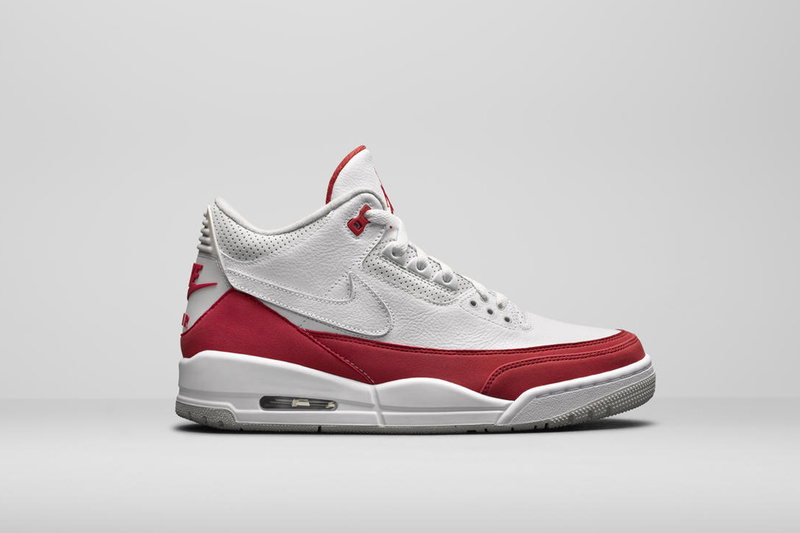 In addition to the elephant-printed Nike swoosh, the Air Jordan 3 Tinker "Air Max" 1 also comes packaged with white, red and reflective grey swooshes. 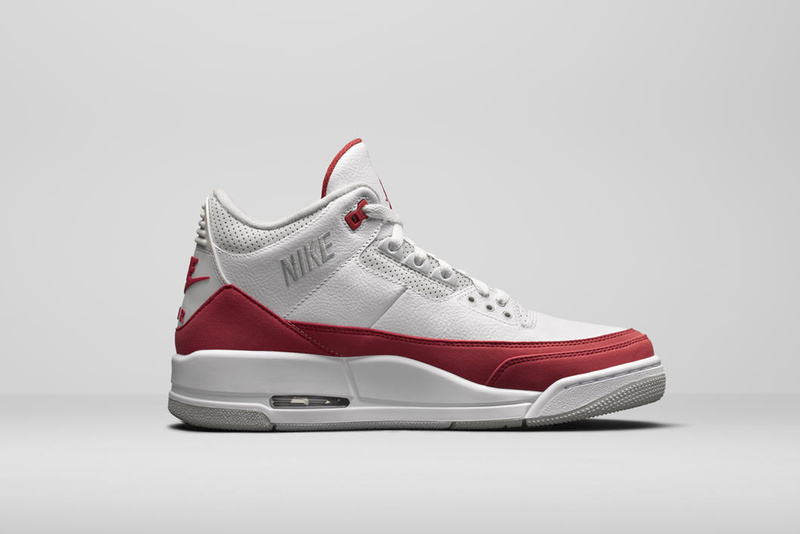 Check out each of the swoosh options, as well as some official images, below.